Illuminations from the attic: Thank you President Obama! I would like to take a moment today to thank President Barack Obama for his extraordinary service as one of the greatest leaders America has ever had. He is one of the few politicians I consider to be truly honest, and who sincerely cares about his country and the people he represents. Even when confronted by the coarse rudeness of his opponents he behaved with politeness and a manner befitting a world leader. Under his leadership great strides were made in conservation and sustainability, in healthcare, education, and government. He strove for reform and progress towards a better future. What he has accomplished is remarkable, even more so when one considers the hateful individuals who fought him at every turn. One wonders what he might have been able to achieve had not the forces of greed and corruption opposed him so bitterly. Our country and our planet are a better place for the past 8 years of his leadership, and I sincerely wish that the 22nd amendment had not been made so that we might have elected him for another 4, and then another 4 after that. 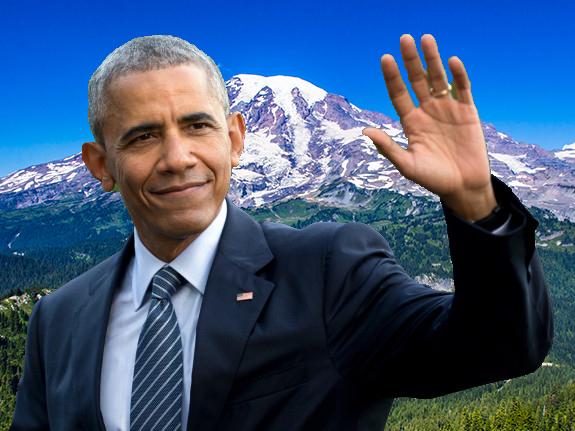 Thank you, President Obama, for all the monuments, the Paris agreement, and the strengthening of environmental protections - may they weather the storms that gather on the horizon. Once again, thank you for your service.